Many parents are worried about braces for kids. Why does my kid need to see an orthodontist? What’s the difference between early treatment and regular treatment? How will early treatment help my child in the long-run? These are just a few of the questions we hear from parents. The American Association of Orthodontists recommends that children first visit an orthodontist as early as age seven. At this age, most children have a mix of baby and adult teeth. Not every seven year old needs early treatment. By having a consultation at this age, Dr Couser can explain to you if any early treatment would be beneficial. If it is not, then he can tell you what to expect when your child is between eleven and thirteen years old and has all of his/her adult teeth. Orthodontic problems can actually be inherited. Crowding of the teeth, too much space between teeth, jaw growth problems, or protruding teeth. Problems can also result from injury to the mouth, early or late loss of baby teeth, or thumb sucking habits. How will early treatment help my child? In some cases early treatment can be beneficial. This is only a small number of patients. Far too often, early treatment is explained to parents as this necessary treatment that needs to be done for every child. 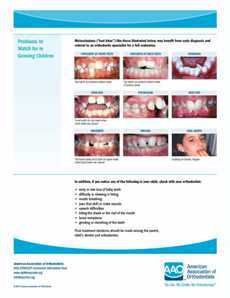 The orthodontist makes the parents believe that if they don’t do early treatment then their child’s teeth will suffer. Always seek two to three different orthodontic consultations. This can help you decide what is best for your child. If one orthodontist is saying that early treatment is necessary and another is saying that it isn’t, you have to ask yourself why? Dr Couser always explains to patients and parents that if he is recommending not doing early treatment, this clearly isn’t in his best financial interest. Then why would Dr Couser recommend in some cases not doing early treatment? Because it is in the best interest of the patient. If your child is between the ages of 7 and 9 and shows signs of needing orthodontic care, or if you have been directed by your family dentist to visit the orthodontist, please contact our office and schedule an appointment. Our team will provide your child with an initial exam. We will then discuss our findings with you and the best way to care for your child’s smile. What are the signs for needing early treatment? Shifting of the jaw upon opening or closing the mouth. Crowded front teeth around age seven or nine. Teenagers make up the largest group in an orthodontic practice. This is because they have or they are close to having all their adult teeth in. They are also at a stage in their life when then want to have their teeth straightened. Most teenagers will choose the metal braces. They like to choose the colors that go around the braces. At each visit they change the colors. 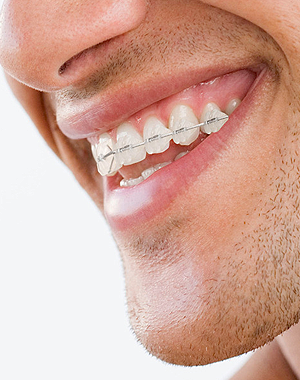 Some older teenagers will choose to do upper clear braces. A small number of cases might be eligible for Invisalign. Life with braces is easier, more comfortable, and more stylish than in the past. Whichever direction you choose, Couser Orthodontics can help you create a beautiful healthy smile. Orthodontics for teens come in a variety of options to help you correct your smile. How long will I have orthodontic treatment? Early treatment – Early treatment allows orthodontists to monitor the growth of the jaw. Not everybody receives early orthodontic treatment. In some cases it may be recommended that a patient wait until they are older. Treatment reaction – Different patients react to treatments differently. It may take one patient only 12 months to complete their treatment. It may take another patient 24 months. Treatment times vary depending on how much work is needed and how quickly your body responds to treatment. YOU! – Taking care of your smile means taking care of your appliances. Damaged appliances can increase the length of your treatment process. Your teeth and jaw can only move into their correct positions if you consistently wear the appliances prescribed by your doctor. The best way to shorten your time in braces for teens is to follow the doctor’s orders! Participation is the key for the shortest time possible! Does orthodontics for teens hurt? Braces and Invisalign Teen are generally not painful. When you first start treatment or come for an adjustment, your teeth and mouth may feel a little tender. This is perfectly normal, but it will not last forever. To relieve the pain, try dissolving one teaspoon of salt in eight ounces of lukewarm water. Swish and gargle this solution in your mouth for just a couple of minutes (do not swallow). If the pain doesn’t go away after rinsing, try taking a pain reliever. Orthodontic treatment is no longer just for teens. The American Association of Orthodontists cites that one in four patients is over 21. Adult patients are concerned about their health and want to feel better about their appearance. With many invisible options, adult braces are now more discreet than ever. A bad bite or misalignment. A healthier mouth and a more confident smile. What is the difference between child, teen, and adult treatment? Not a whole lot. Teeth will move at any age. Adult patients usually have more general concerns, like gum loss or missing teeth. We know adults and children need a different level of attention and care. 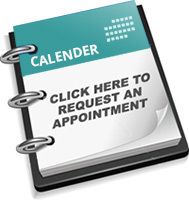 We will work closely with you to make sure you receive the best treatment. Dr. Couser will carefully evaluate your individual needs and discuss your treatment options, always implementing the most advanced technology and techniques. Straight teeth are healthy teeth. They are easier to clean and help prevent other health problems. Unhealthy mouths can lead to long-term health issues. Adult braces can correct these issues and prevent more problems. Plus, a beautiful, straight smile builds confidence. It gives you a better quality of life and the freedom to smile without holding back.